Are you looking for a new place to set down roots? San Antonio is a popular vacation destination, as well as home to over a million people. If you have ever visited San Antonio, you may have noticed the residents’ deep love for their city. We aren’t just talking about their passion for the Spurs. San Antonio is a city full of rich history, top-notch restaurants, and higher education opportunities. There is plenty to keep you busy in San Antonio everyday of the week, but the city is conveniently located close to many small towns and cities if you are looking for more entertainment options. Plus, Austin is just under two hours by car. In addition, you will find that the cost of living in San Antonio is less expensive than many other parts of Texas. If you have decided that San Antonio is the place for you, then moving is the next thing on your agenda. Moving can be a challenge, especially if you are coming from a long-distance. Car shipping services can help make your life easier by reducing some of your moving day stress. There are many reasons why you might need to ship your car. Are you moving off to college? Did you accept a job offer in a new state? Whatever the reason may be, you might be unfamiliar with the car shipping process. National Dispatch is here to help explain a few things. What type of trailer will be used to transport my vehicle? 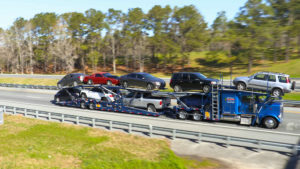 There are two main types of trailers used in auto transport. You can select to use either an open or enclosed carrier depending on the type of car you own, budget, and personal preference. Open auto transport is the most common form of transport. However, enclosed auto transport is highly recommended for owners of exotic, sport, or classic vehicles. How will my car be delivered? Will I have to pick it up? This depends on your particular location and services requested. With door-to-door auto transport, your vehicle will be delivered directly to your home, as long as conditions permit. With residential addresses, it can sometimes be challenging to navigate a large truck in the area. If this were to be the case, a local meeting place would be decided. Should I do anything to prepare for auto transport? To prepare a car for auto transport, ensure that all personal items are removed from the vehicle. It is also important to leave only one-quarter of a tank of gas in the car. San Antonio has been ranked one of the best places to live and retire in the nation. The city has an inviting atmosphere, one of the many reasons why people choose to live and stay in the area. Here are a few things that you might want to know about the city. There is no need for snowshoes in San Antonio, because snow and below-freezing temperatures are uncommon for the area. You can expect to see many days of sunshine. During the warmest months, temperatures are in the 90s. Due to the weather and climate of the region, San Antonio makes the perfect destination for retirees and seasonal travelers. If you are coming to the city looking for employment opportunities, you will be happy to find that the average unemployment rate is below the national average. San Antonio boasts a flourishing job market representing a vast array of industries. Some of the top industries include healthcare, insurance, and bioscience. The area is also home to many military members with several bases in the region. You are sure to be amused at one of the many water and amusement parks offered in the San Antonio region. There is SeaWorld, where you can experience animal interactions, go on thrill rides, or visit Aquatica, the park’s waterpark. Another option in the area is Six Flags, which always promises a good time with its games, rides, and performances. San Antonio is also home to a one-of-a-kind amusement park, Morgan’s Wonderland, designed for individuals with disabilities. By living in San Antonio, you get the best of both worlds. The city is within driving distance to many beaches, as well as a short distance from “Hill Country”. There is much more to do in San Antonio than go to the theme parks. Within a city of many amenities, you should definitely be able to find something that sparks your interest. Here is a list of some of the most popular attractions. Alamo Mission – San Antonio is well-known for its ties to the Alamo. This historical site is a monument to Texas’ history displaying many artifacts. 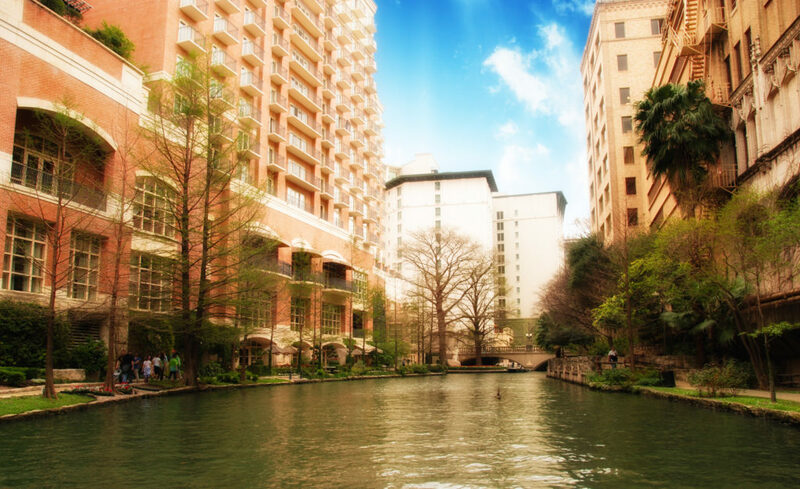 Riverwalk – This is a beautiful walkway downtown that features bridges, restaurants, bars, and shops. River boat dining is even an option. Natural Bridge Caverns – This is the largest cavern in Texas. You can go on a tour, find your way through a maze, or complete the canopy and zip line course. Food and refreshments are also offered, and you can find a special gift to take home at the gift shop. Brackenridge Park – Located near the San Antonio River, this historic park is perfect for nature lovers. There are opportunities to picnic, bird-watch, hike, bike, golf, and more. National Dispatch is a nationwide car shipping company. We ship a variety of automobiles anywhere in the country. From cars, trucks, vans, SUVs, and motorcycles, we have got you covered. Our customer base is extensive, including military personnel, large corporations, families/individuals relocating to a new home, dealerships, retirees, and more. To get a car transport rate catered to your needs, use our online quote form. It only takes a few seconds to receive a free, instant quote without any personal information. To speak with one of our auto transport agents, call us at 800-321-2051.